A team of San Diego State University researchers, studying MRI scans of school-age children's brains, found just such unique patterns of neural communication involving the amygdala, the area of the brain responsible for processing social information. 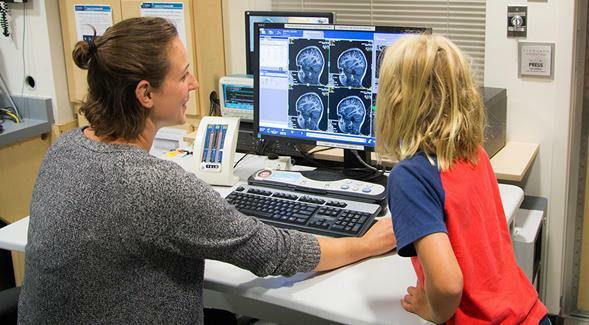 In children with ASDs, the amygdala connections with other parts of the brain proved to be weaker with some regions –and stronger with others–when compared with typically developing children of the same age. The functional MRI used in the research measures how brain activity changes over time–in this case, a period of six minutes. It provides a picture of ongoing communication between different brain regions, known as "functional connectivity," showing how synchronized the amygdala's activity is with other brain areas.